I had a great time tonight, I’ll call you. Pair this smoldering look with a loud, bellowing call, and what is a female African bullfrog to do? African bullfrogs are well-known for their calls, which are similar to a roar and are used to locate one another. During mating season, these calls especially come in handy. 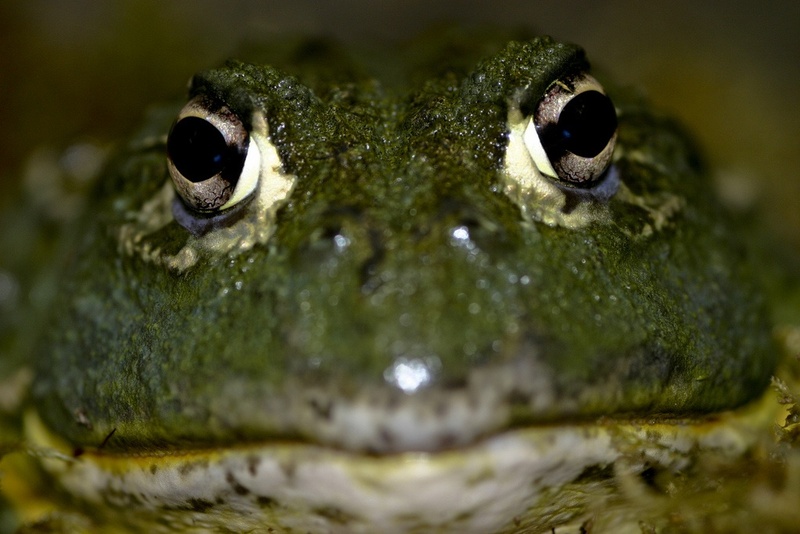 Their keen sense of hearing assists them when listening to the calls of other bullfrogs. African bullfrogs prey on almost anything they can fit into their mouths. Starting this week, the Panama Amphibian Rescue and Conservation Project will post a new photo weekly of a cute frog from anywhere in the world with an interesting, fun and unique story to tell. Be sure to check back every Monday for the latest addition. This entry was posted in Cute Frog of the Week and tagged African bullfrog, Cute Frog of the Week by Lindsay. Bookmark the permalink.